I've been thinking up this recipe for awhile now. 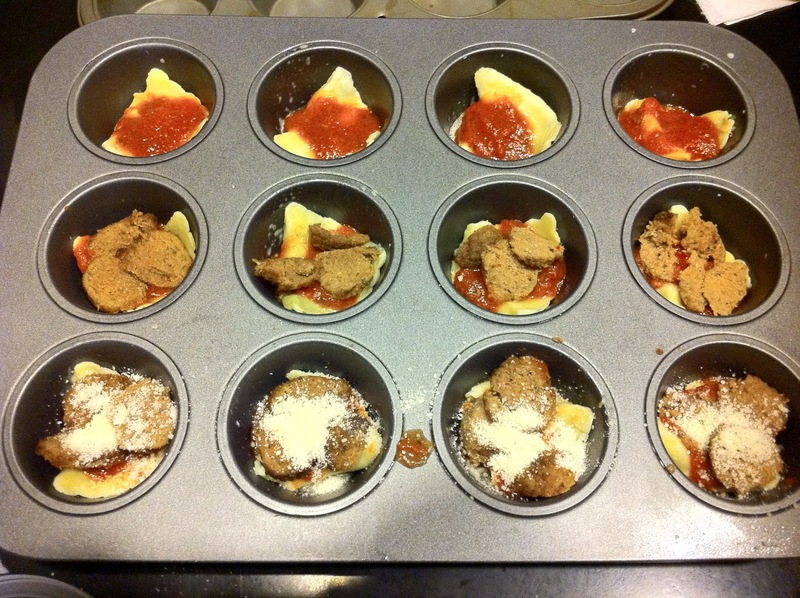 I had seen version of lasagna cups online at Framed: Lasagna Cups using won ton wrappers. 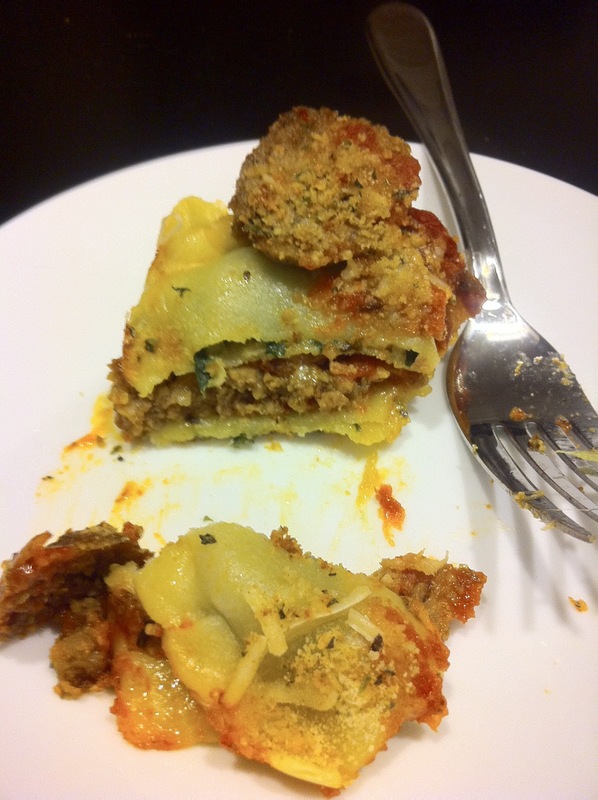 Real Simple magazine even came out with a recipe of their own using lasagna noodles and a cookie cutter to fit inside the cups. While they both looked really yummy, they didn't seem easy enough. 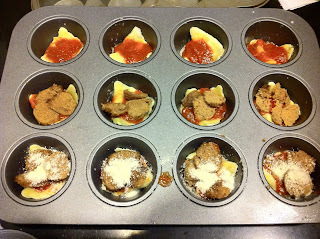 With this blog, I am striving to make simpler, muffin sized versions of yummy recipes. This recipe is precisely that. Yummy. Simple. Muffin Sized. Now this recipe doesn't really need specific ingredients or directions. The idea is pretty straight forward and very versitile. I'm going to describe the one I made but feel free to get creative! 1. Preheat oven to 350f. Precook the raviolis for about 6 mins at a low boil. Raviolis can be very delicate, so don't over cook them. 2. Heat up about 32 meatballs according to the package directions. Let them cool a bit and slice thin.